A Somalian man sexually assaulted a young boy in the toilets of the Grosvenor Shopping Centre in Northampton less than two weeks after he had been released from an immigration removal centre. 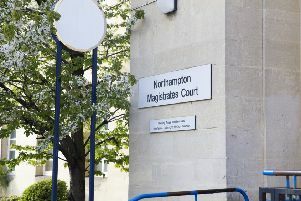 Abdigani Diirshe, aged 40, of no fixed abode, appeared at Northampton Magistrates’ Court last Friday after he touched the boy, who was wearing a school uniform, while he was standing at the urinal. The court heard that Diirshe deliberately stood next to the boy when he entered the toilets in the shopping centre on Tuesday evening. Matthew Thomas, prosecuting, said, as the boy was urinating, Diirshe sexually assaulted him. The court heard Diirshe was arrested the next day after he was spotted in the shopping centre again. John Weaver, defending, said his client had no fixed address as he had only just been released from an immigration detention centre. Magistrates declined jurisdiction in the case and it was sent to Northampton Crown Court in January. Diirshe was remanded in custody. However, the spokesman said detention was only used where there is a realistic possibility of removal and this can be delayed for a number of reasons including legal challenges. New powers in the recent Immigration Act have cut the number of grounds on which criminals can appeal deportation, in a bid to speed up removals so that more are deported before the end of their sentences. Last year, the Government removed more than 5,000 foreign criminals, the highest number since 2010/11.